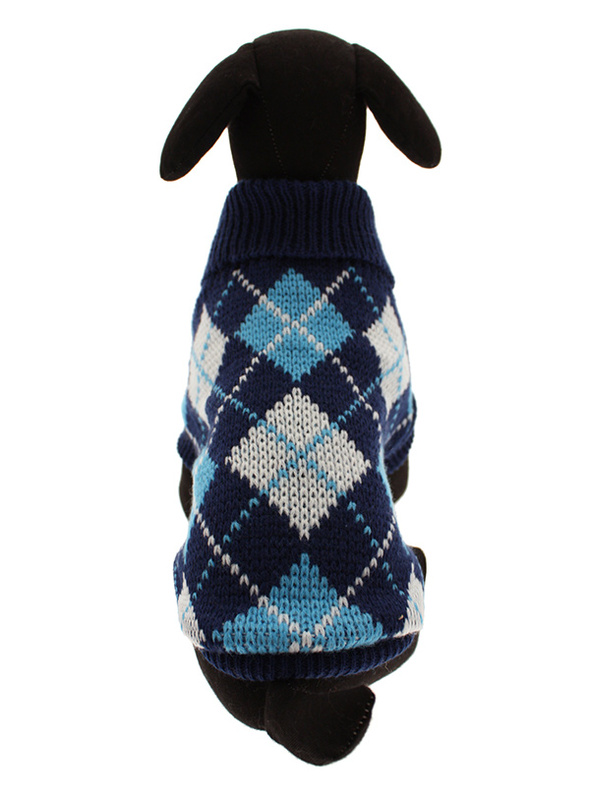 Knitted blue sweater with a baby blue and white diamond pattern. 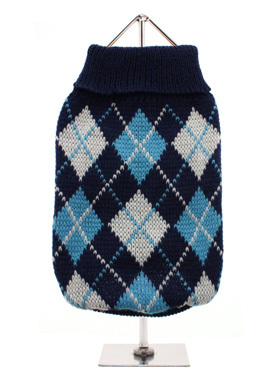 The Argyle pattern has seen a resurgence in popularity in the last few years due to its adoption by Stuart Stockdale in collections produced by luxury clothing manufacturer, Pringle of Scotland. 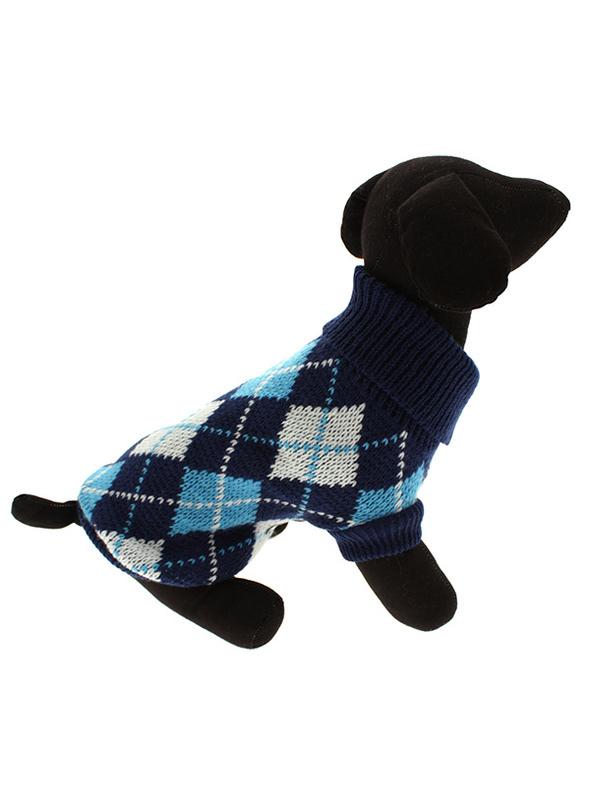 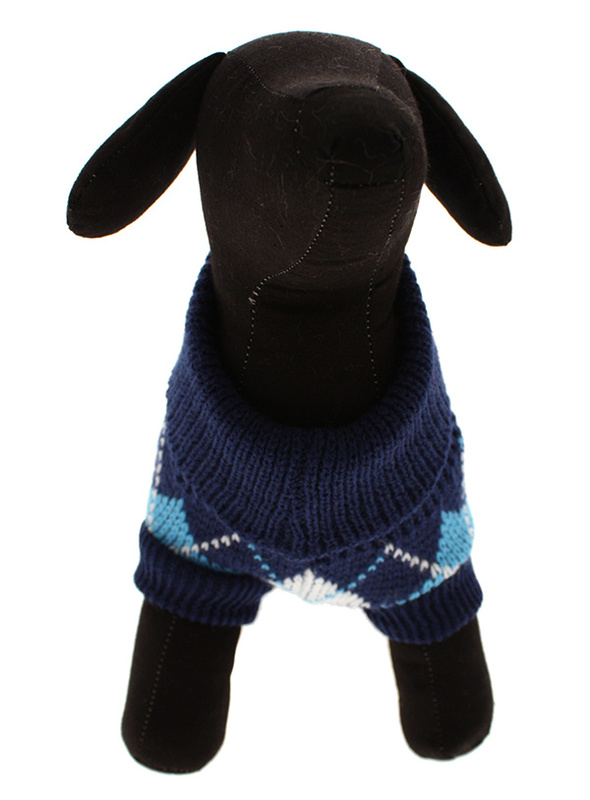 The rich Scottish heritage will give your pup a touch of class while keeping warm!